Is the God of Thunder on YOUR Warm Roof? It is great to be out and about in the sunshine at the moment, seeing all of the construction projects that are happening, As usual, the clement weather has brought out the roofers - this is surely one of the most dispiriting trades to be working in when the rain is coming down and/or high winds are threatening to call off the day’s work altogether. So what is the most common roofing project right now? Over-rafter roof insulation. Yes, though the sun is shining, savvy property owners are learning from the harsh lessons inflicted last year and are getting their homes and businesses sorted out now while the going is good. Make roofs while the sun shines - that’s what we say! Kingspan, Celotex and Eco-Therm are among the most popular insulation materials. To ensure they are securely fixed, Twistfix recommend using Thor Helical Super-7 Warm Roof Batten Fixings, an expertly-designed system that greatly exceeds standard Inskew fixings in terms of performance and ease of use. Super-7 fixings are designed by W H Ollis, who designed the original, ground­bre­aking and hugely-influential Helifix Inskew almost 30 years ago. "The product upgrade was needed to cope with the increased bending moments induced by thicker layers of insulation" explained Mr Ollis. "The Thor Super-7 helical fastener is substantially stronger than Inskew 600 fixings, a fact that leads to a dramatic reduction in costs as less nails are required to fix the boards and to resist sliding loads". The Thor Super-7 system has undergone extensive independent tests which have shown it to meet and exceed the NHBC technical requirements when used in conjunction with the BRE-approved design method 'Helicalc'. The Helicalc online software provides accurate calculations on the quantity and size of fixings that should be used for a particular project; these calculations are based on the results of tests made using genuine Thor Helical 7mm fixings as sold by Twistfix and Ancon. 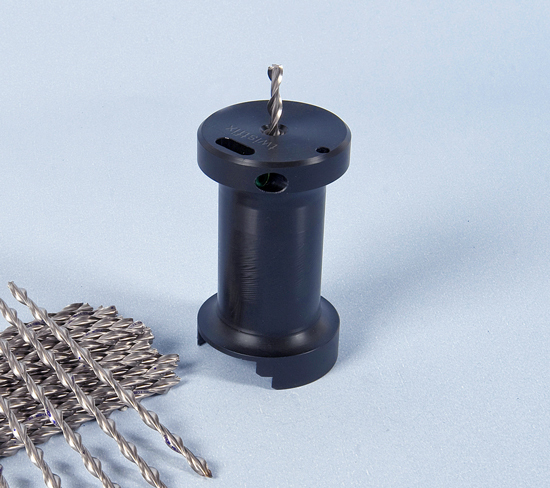 Thor Helical Super-7 Warm Roof Fixings are supplied by Twistfix in a comprehensive range of sizes, each pack containing 50 fixings. As usual, our price will always be one of the most competitive on the market and quality of a professional standard is consistently guaranteed. If you are going up on the roof for summer, then take Twistfix with you. Hey wait, we didn’t mean if it was raining…. !